MON-EL: One of, or maybe even the last survivor of Daxam, Mon-El was rocketed to Earth in a Kryptonian escape pod when the planet Daxam suffered catastrophic damage caused by the destruction of sister planet Krypton. Mon-El, a Daxamite, has very similar powers to that of Kryptonians except they are a little less pronounced. Unlike Kryptonians, Daxamites are deadly allergic to blood-lead poisoning. Mon-El's origin on Daxam is shrouded in mystery which is resolved in season 2. He has a more care-free attitude than Kara does and likes to drink and party a bit more than his Kryptonian counter-perts. He does have a sense of honor and self betterment as well. Mon-El often looks to Kara to develop his sense of right and wrong. 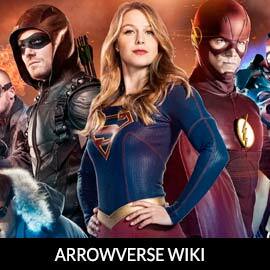 For more info on Mon-El, check out our partners at ArrowverseWiki.